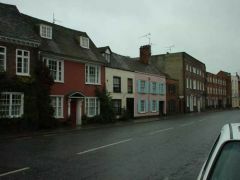 This picture shows Rupert House School which is situated towards the end of Bell Street. 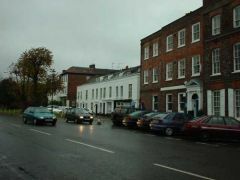 This picture shows residential housing further up Bell Street from the main shopping area. 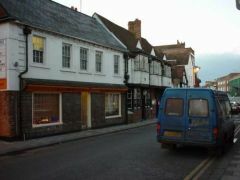 The main crossroads that joins Market Place, Hart Street and Duke Street with Bell Street that heads off into the distance in this photo. This picture shows Bar Med restaurant and bar which was located on Bell Street. 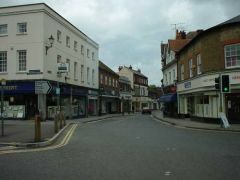 Bell Street is Henley's main high street where most major shops can be found. 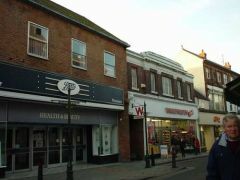 This picture shows Boots, Woolworths and Clintons.